Helping runners enjoy exercise, push their limits and perform at their best. Is stretching good for you? 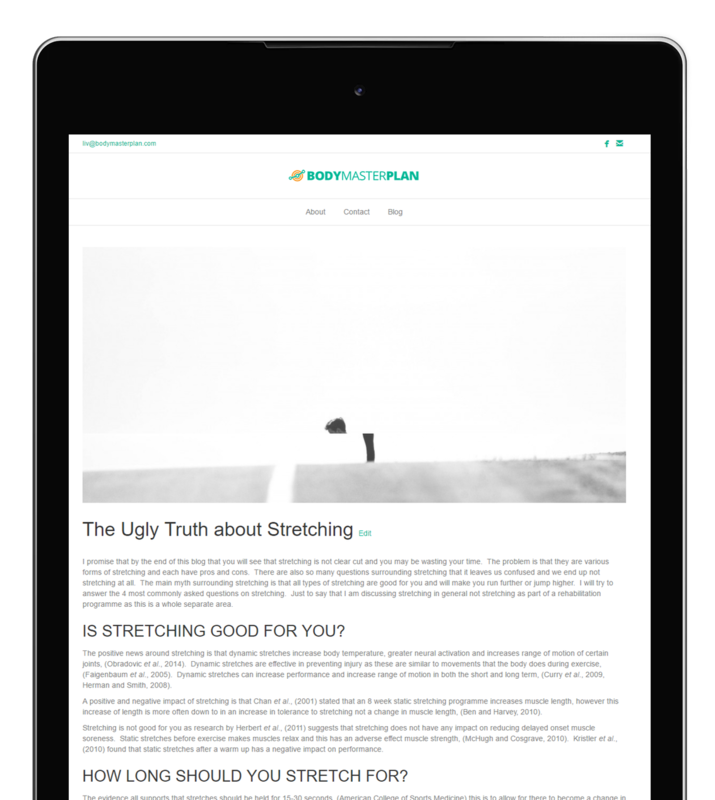 Read this blog post and you'll see that stretching is not clear cut and you may be wasting your time. The problem is that they are various forms of stretching and each have pros and cons. My name is Olivia Higginson and I am a Sports Therapist working in East Devon. I am a functional Therapist as I like to look at the body as one system rather than different sections. I wanted to create a business that would help my clients outside the clinic. To become the dedicated Sports therapy centre for runners.